We all want to live our happiest life, but sometimes the daily hustle and bustle makes deep, lasting happiness seem like a faraway goal. But some simple, everyday practices can increase your joy. From healthy habits like adequate sleep and exercise to self-improvement techniques like meditation and goal setting, these happiness hacks are often on the schedules of the happiest people. And the best part? There are essential oil uses for each of them! 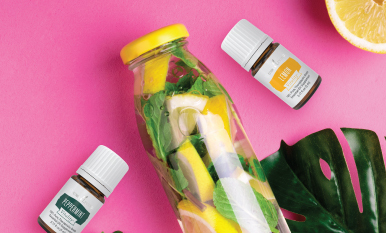 Check out our list of habits and benefits of essential oils below, so you can start your journey to a brighter tomorrow! Know people who love Peppermint? There’s a good chance they use it for their active lifestyle, which is a critical part of a happy life! Whether it’s hitting the gym, stopping by the yoga studio, playing a favorite sport, or chasing after the kiddos, physical activity helps your body and mind feel great. Peppermint Vitality™ may support performance during physical activity, so you can make the most of your workout! * Plus, Peppermint’s cooling, tingling effect is the perfect complement to a workout, especially when you massage it into neck, shoulder, and leg muscles. Sleep and mood are closely connected, and the happiest people know they feel their best when they get plenty of rest. That’s why Lavender is a must-have for the happiness expert. Its relaxing aroma makes it a staple for bedside tables, vanity displays, and anywhere that makes it easy to grab before bed. Apply this calming classic to the chest, temples, and bottoms of your feet to help you transition from a busy day to a peaceful night. Deep, lasting happiness lies in meaningful social relationships, and you’ll find that the happiest people have a strong, supportive network of loved ones. Joy™, which invites feelings of bliss and warmth when diffused, helps you nurture the people and connections that matter most for sustained, long-term happiness. Hard times come to everyone, but the happiest people find the good even in difficult situations. This spirit of optimism isn’t always easy to maintain, but with practice it becomes easier to find bliss every day. To refocus on everything going right in your life, diffuse Tangerine, which helps create a happy outlook with its delightful sweet, citrus aroma. Or try rubbing a few drops between your hands and inhaling the scent to give your day a cheerful, upbeat outlook! Valor®—known for its uplifting and affirming aroma—is great for setting goals, which is an important part of a happy, purposeful life. Without goals and aspirations, it’s hard to keep a hopeful outlook for the future. In contrast, having something to work toward helps each day feel more valuable and rewarding. Plus, when you accomplish a goal, you feel good about yourself and improve your life! It is amazing how when we spend time serving others, we become be happier in our own lives. Offering compassion to others can bring a fresh perspective to your life. It can be as simple as baking treats for a lonely neighbor or calling up a struggling friend. However you choose to brighten someone’s day, you’ll find that some of the light shines on you too. Looking for more help in building your best life? 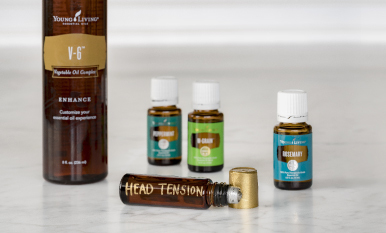 Find extra tips in our blog posts on 7 life lessons inspired by plants and 7 tips and essential oils for a balanced life! 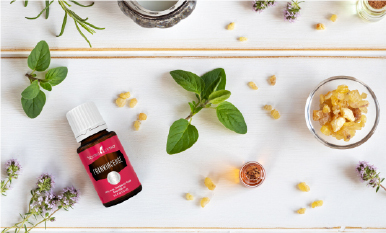 What essential oils help you feel your happiest? Tell us your happiness hacks in the comments below!